The Unguator B/R is a basic model operated manually. The Unguator B/R model locks the mixing blade shaft in a bayonet socket. This model easily operates with a variable speed control. Ideally suited for basic formulations and compounding from 15-200 ml. 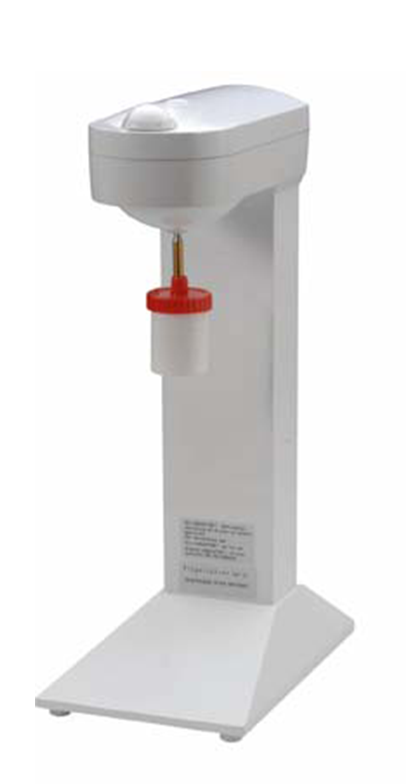 The Unguator B/R offers superior results in all small scale formulations by manual jar oscillation. Using one hand to hold the mixing jar to oscillate up and down, the other hand to control the speed control knob. The time for preparation is dictated by the jar size in use. It is recommended that the mixing speed be brought to its highest level as quickly as possible for most formulations.